"My name is Arianna. Beware the storms. When you hear thunder, I hear battle cries. When you see rain, I see blood. My kind has warred with each other for ages. I fight on one side and my love on the other." Shuddering, she continued. "We thought we would bring peace, but in the end it would not be so. My biggest regret is also my greatest joy. We had a child. He is neither Light nor Dark, but balanced evenly. His name is Alexander. Both sides fear him and call him tainted. In their haste of ignorance they ordered him to be executed, but we could not stand by and let our son be destroyed. My love drew their attention away by challenging them to fight buying me time to hide our child with his freedom and possibly his life as well. Please take him. Protect him where I could not." But when Alexander is found he must learn to embrace his destiny and become who he really is. 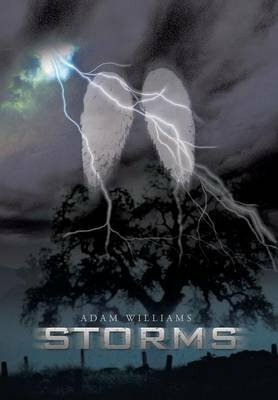 The storms are brewing and he must stand against his race if he is to save earth and the family he loves. The storms are coming.